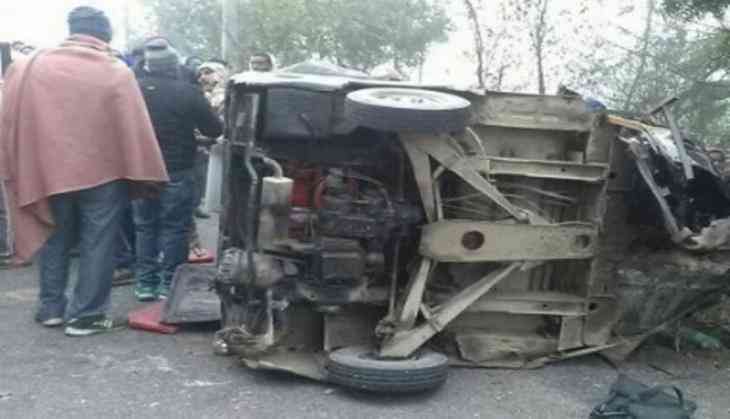 At least three youth were killed when a truck's tyre burst on Jabalpur-Sagar bypass in Damoh district in Madhya Pradesh on late Tuesday night. The accident took place when the youth on their bike were on the way to a food joint. They were riding beside a truck when suddenly its tyres got burst and the driver lost the control of the huge vehicle. Firstly, the truck collided with the bike and ran over the youth. The driver and the staff managed to flee from the location. The victims belonged to the old thana area in Damoh. Meanwhile, the police have seized truck and have launched a probe into the matter.